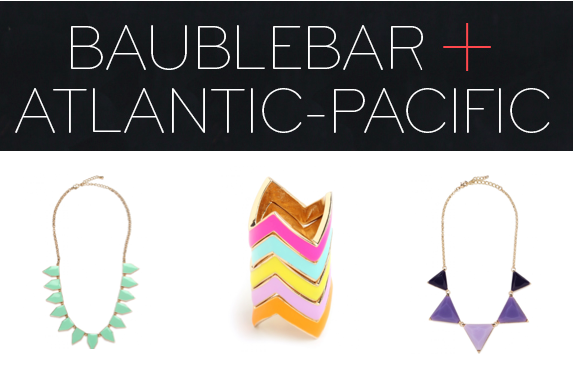 One of my favorite bloggers, Bee from Atlantic Pacific just launched her collection with Bauble Bar. Let me say, I am in love! I picked up two necklaces and a ring stack. I cannot wait till they come. Congratulations to Bee for the amazing collection and let me know if you pick up a piece! Thank you so much for the feature :) so glad you like it!